A big thank you goes out to Bramcote Barracks for allowing 3 soldiers the time to come along and join us for our Remembrance Day Assembly. Not only did they listen to the Assembly, they then spent time with our Chetwynd Children going through work children had produced on World Wars I and II. They stayed for lunch, and rumour has it, they were spotted auditioning for the Chetwynd Chillis team as well! We look forward to welcoming them back next year. 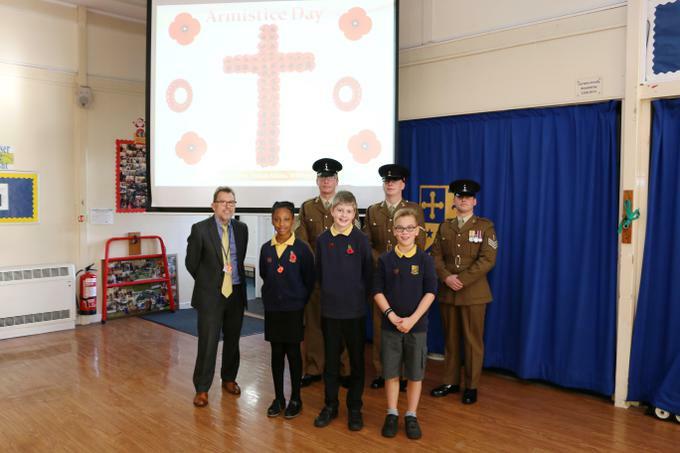 Well done to School Council Members Rhiminee , William and Joshua for organising such a fantastic Remembrance Assembly.